Noooo, not those kinds of chips. Microchips! BOL!! 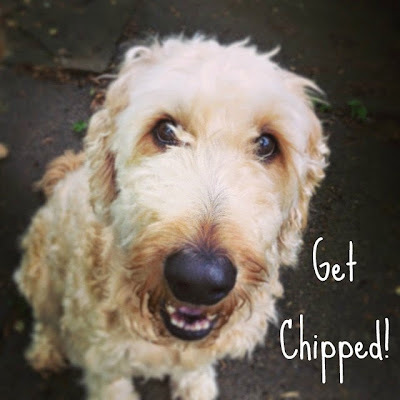 It's National Chip Your Pet Month! More pets die because their owners didn't identify them than from all infectious diseases combined. Microchipped pets also save shelters hundreds of dollars in kennel fees because chipped pets are generally returned in hours instead of days, or possibly not at all. Chippin is one of the best things every invented for pets.....rakes right up there with the discovery of fire and the wheel!..........wonder if this should be made mandatory...it is so cheap . Yes, it doesn't cost much either. We are both chipped! Can I have Salsa with that? Both my guys are chipped, a breeder contract requirement, plus it just makes good sense!